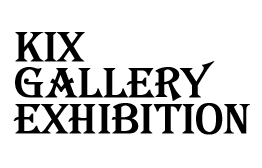 There is no event, exhibition meeting the conditions specified. 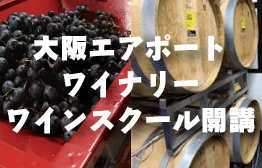 At Osaka International Airport (Itami), at Osaka Airport Winery, the first airport winery in the world, Wine School (a course that preps for the Sommelier and Wine Expert First-Stage Exam) will be held starting from February of 2019. 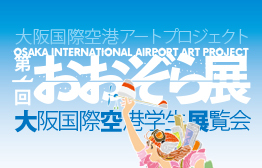 The 1st Ozora Exhibit will be held from Monday April 1 to Monday May 6 as a part of the Osaka International Airport Art Project which has been held since 2018, where various art is exhibited throughout Osaka International Airport (Itami Airport). 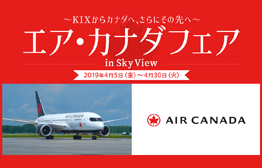 At Kansai International Airport Observation Hall, a collaborative event with Air Canada, who will begin operating as a main line from June 2nd (Sunday), will be held. At the entrance to the Observation Deck on the 4th floor of the North Terminal in ITAMI, there is a painted piano (nicknamed: "LovePiano) set up that anyone can play. 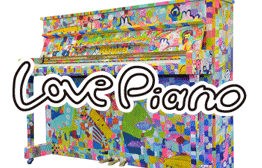 Before that, there will be a "LovePiano" exhibit from April 13th (Sat) to the 17th (Wed). 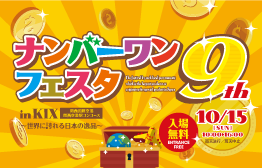 Collect stamps at 4 points throughout Osaka International Airport for a chance to try out the Garapon (lottery wheel) Raffle! 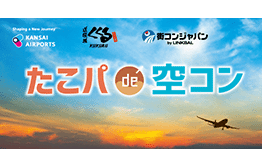 Popular entertainers from Yoshimoto will be livening up a night in Osaka International Airport with their jokes and performances! 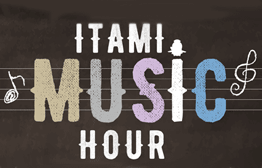 Music livens up ITAMI at night. Why not enjoy yoga in the morning with the refreshing sun on your back? Beginners, friends, couples and families are all welcome. Feel free to apply! 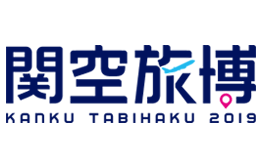 For 2 days from May 18th (Sat) to 19th (Sun), Kanku Tabihaku 2019, The Travel Showcase Closest to the World, is back for the 15th consecutive time at Kansai International Airport. 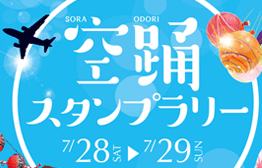 Osaka International Airport Kuraku Festa 2019 has been decided! 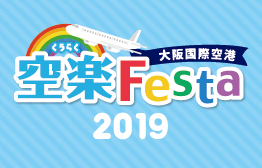 This year will see another hosting of Kuraku Festa, where stage events can be enjoyed along with booths from the cities around Osaka International Airport, cities served and airline companies. We hope you enjoy! 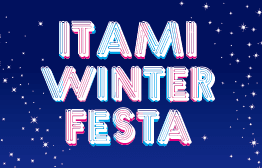 Igloos and Namahage from Akita Prefecture's Yokote and Oga Cities will be on display at ITAMI. 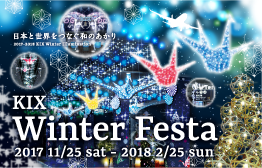 We welcome all visitors of the newly reborn Osaka International Airport to the exciting and kira kira (sparkling) ITAMI Winter Illumination. 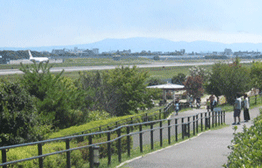 This is a walking event to stroll around the Osaka International Airport area. 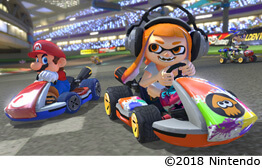 Passengers arriving at Kansai International Airport can take their chance at the Time Attack Event of Mario Kart 8 Deluxe when they pass by Nintendo Check In. 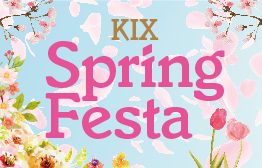 At KIX Spring Festa 2019, everyone that makes use of Kansai International Airport will be greeted by various contents using one of the characteristic images of Japan: cherry blossoms. 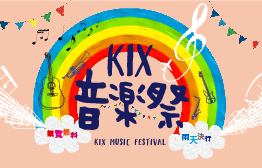 Let's enjoy KIX winter events! 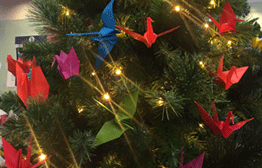 Under the theme of "Japanese lights connecting Japan to the world," the entire airport is decorated beautifully with paper-crane-motif original illuminations and modernized Japanese pattern ornaments. 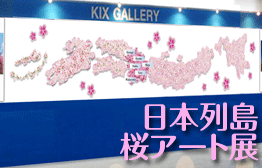 The KIX Observation Hall "Sky View" will be open on the early morning of the New Year's Day. 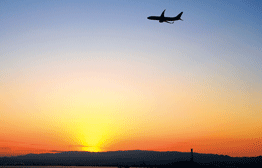 Please enjoy watching the collaboration of the first sunrise and the airplanes taking off. 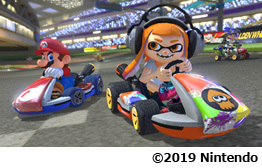 We will hold an event that you can play Nintendo Switch software "Mario Kart 8 Deluxe." 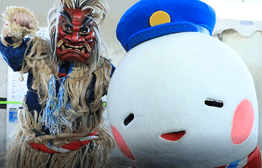 Let's experience the Japanese spirit of harmony and hospitality. 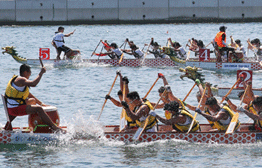 You can participate without any obligations and wear kimono free of charge. 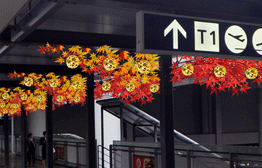 At the Departure Gate, greetings in a kimono style will be displayed. "KIX Music Festival" are regularly held throughout the year by Kansai's artists. Please enjoy music performed by the artists, which change each time. 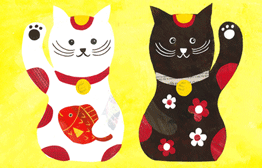 A very popular beckoning cat as a lucky charm not only in Japan but also all over the world. 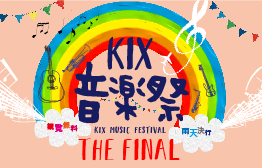 KIX will hold a painting experience event in which participants will paint decorations on white paper cats. Thai Airways International A350 service start commemoration! 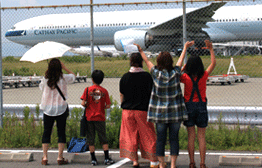 KIX observation hall will open early morning. From February 17 (Sat. 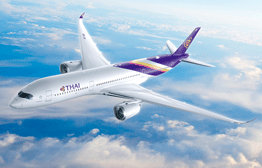 ), the state-of-the-art aircraft Airbus A350 of Thai Airways International will be put into service between KIX and Bangkok. On that day, by commemorating the first flight, the main hall on the 4th and 5th floors and the entrance hall on the 5th floor will open early morning at 6:00! 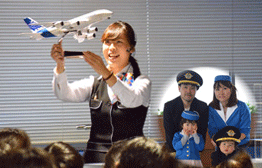 In the KIX observation hall, a very popular "Airplane Science Experiment Class," which has been so far limited to group participation, will be specially held for individuals. 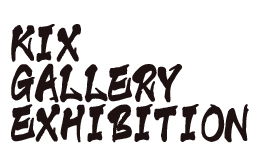 At the same time a photo session will be held. 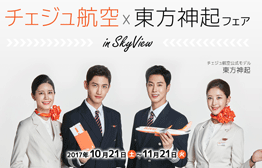 You can put on a pilot/flight attendant uniform and have a photo taken! 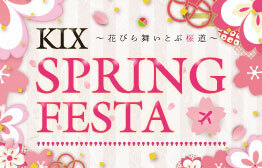 Let's enjoy KIX spring events! 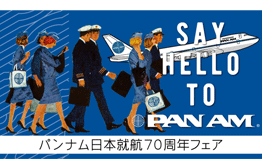 Commemorating the 70th anniversary of Pan American World Airways’ (PAN AM) service in Japan and the 50th anniversary of its service in Osaka, PAN AM Gallery will be set up to review its glorious history. Holding the Cherry Blossoms Art Exhibition expressing the Japanese Islands with cherry blossom petals. 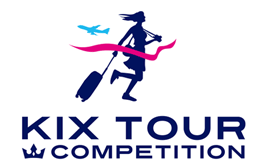 KIX will hold a walking event to give participants an opportunity to walk around the vicinity of the Osaka International Airport. 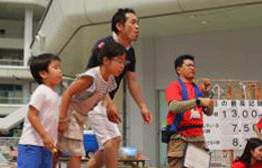 The event can be enjoyed by everyone, so please participate with your families and friends. 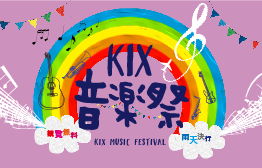 We hold music event "KIX MUSIC FESTIVAL" played by artists mainly performing in the Kansai area. 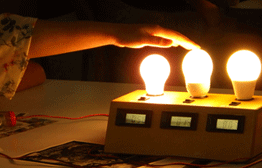 Don’t miss it as this is extremely valuable opportunity! 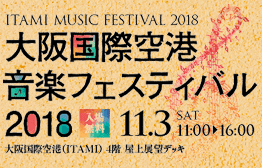 Yu Watanabe will hold a concert at Osaka International airport. His music of heart warming sound and picturesque scenes is very popular with many people. 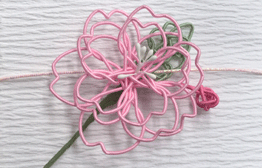 Let's make flowers of fashion bloom! 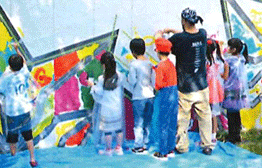 Why don't you draw on the wall with a young artist from Osaka at the Osaka International Airport Central Building Terrace, which is scheduled to open in April 2018? 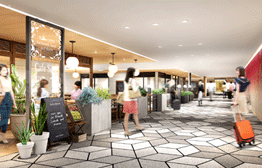 The Osaka International Airport is under full-scale renovation. Prior to the opening scheduled on April 18, 2018, we invite you to a preview of the renovated airport to provide you with the opportunity to enjoy shopping and dining at new shops and restaurants in the airport. 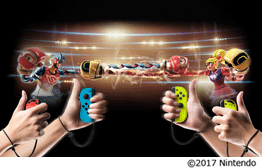 An event where you can enjoy "ARMS" software for Nintendo Switch will be held. 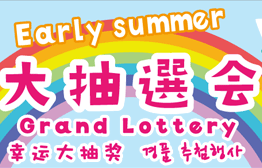 Even those who have never played it, the staff will tell you how to play carefully, so please do not hesitate to join us. The Travel Showcase Closest to the World, is back for the 14th consecutive time. Enjoy these two days and find opportunities to fly around the world! Decision was made to continue to hold this year! 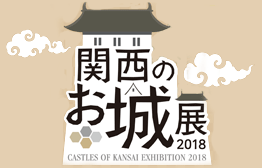 Kansai, stage to a wide array of historical events, has a large amount of castles still standing. Take a trip to the castles to feel the mystery of times gone by. 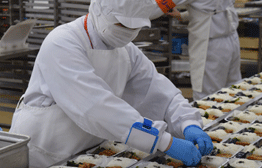 The king of cherries, Sato-Nishiki, is a famous product of Higashine City in Yamagata Prefecture. 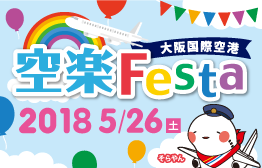 To celebrate the 60th anniversary of Higashine’s designation as a city, a Cherry Pit Spitting Festival will be held at Osaka International Airport (Itami), which hosts a direct flight to Yamagata Airport. Due to the record heat, and with consideration for the safety of participants, we have cancelled this event. Thank you for your understanding. First time at KIX! An all night event! Because of Typhoon No. 12 approaching, this event has been canceled considering visitors’ safety. Thank you for your understanding. 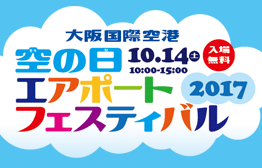 Let’s collect stamps provided at various places within the Kansai Airport and stop at the raffle wheel to draw a raffle! Let's have a exciting summer at KIX! ※Because of Typhoon No. 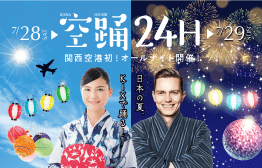 12 , the "Sora Odori 24H" had been canceled considering visitors’ safety. Thank you for your understanding. 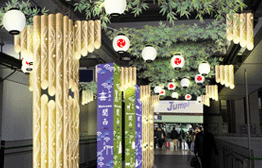 "Bamboo illumination" created by the illumination producer “CHIKAKEN” will appear at KIX. We will welcome you with fantastic “bamboo illumination” consisting of light that shines through bamboo holes. A lot of summer events going on at "Sky View" ! 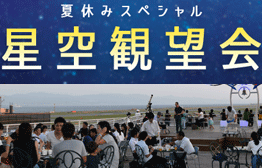 We have a lot of fan events, including a starry sky watching party at the KIX Observation Hall on July 28 (Sat. 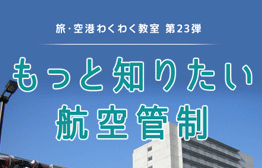 ), and a beer garden on August 11 (Sat.) and 18 (Sat.) at the Observation Deck! ※Because of Typhoon No. 12 , the "Starry Sky Watching Party" had been canceled considering visitors’ safety. Thank you for your understanding. 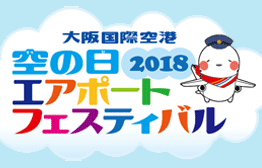 We will operate daily the "Exciting Kansai Airport Tour Plan" (bus tour) which is usually operated three times on weekends and holidays between August 11 and 15. In addition, the plan will be operated five times for 3 days between August 11 and 13! 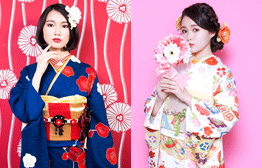 We will hold an event to allow you to experience wearing a yukata as well as a special exhibition of yukata dyed with a traditional method. Due to the record heat, and with consideration for the safety of participants, we have postponed this event. Thank you for your understanding. 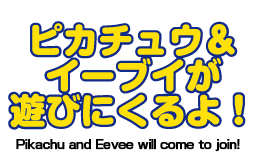 Pikachu and Eevee will come to join! 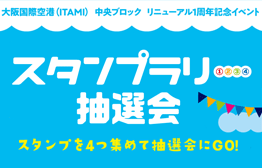 “Pokemon Center Big Pika Pika War of Midsummer” will be held between July 21 (Sat.) and September 2 (Sun.) at the Pokémon Centers and Pokémon Stores across Japan. With Terminal 2 Building and airplanes taking off and landing in the background, a fierce battle will be waged on the sea water. 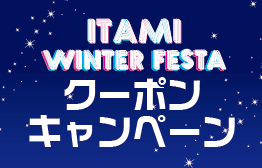 Overseas teams will participate this year as well! Yutaka Kijima, a supreme shamisen (three-stringed Japanese lute) singer and whose music is rooted in Min'yō (a genre of traditional Japanese music), will be performing live at the 1st floor lobby stage of the North Terminal. Outdoor performances by musicians. 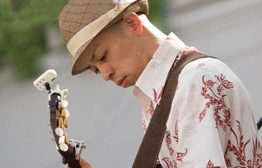 Music livens up ITAMI on Wednesdays. 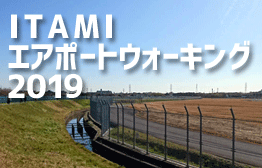 You can learn all about the work performed in the airport and see ITAMI turned into a play zone for everyone! Would you attend a singles meetup party at the airport? We will be holding a high quality acoustic music festival that adults can enjoy. Outdoor performances by musicians. Music livens up ITAMI at night. * Please note that some of the contents have been changed. 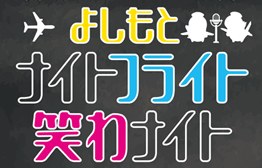 We will prepare three "Kira Kira Photo Spots" where you can take photos with Sora-yan in the building. Let's share the photos on SNS! 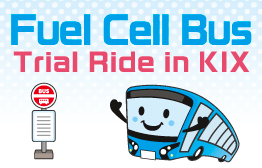 At Kansai International Airport, as an activity to promote the proactive use of hydrogen energy, we will hold a fuel cell bus trial ride on Saturday, December 15. 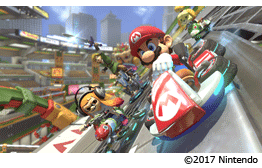 Passengers arriving at KIX can take their chance at the Time Attack Event of Mario Kart 8 Deluxe when they pass by Nintendo Check In. There are plenty of events where you can experience jobs related to the sky! Families are welcome! 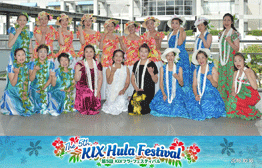 The Hula dance group in Kansai will perform beautiful Hula in colorful costumes. 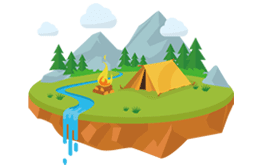 Boasting the largest share and originality of local municipalities' specialty goods for sale and a raffle that gives specialty merchandise to winners. 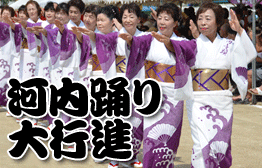 YOSAKOI Dancers from various parts of Japan will gather!! 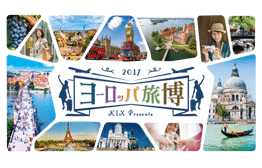 The Travel Tour Competition, showcasing unique travel tours that depart from Kansai International Airport. 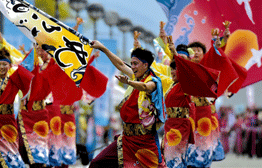 Kawachi Dance song, representing Osaka (Yao), is sung at Bon festival and loved all throughout Japan.You can experience the attractiveness of Kawachi Song, known as "the fusion art of Western music and Naniwa-Bushi." A must-see event for aircraft / aviation collectors who have or look for such treasures! 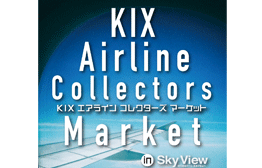 A highly popular "Junk Market" (mini-version) in the annual KIX Travel Fair will also be held! Annual Aviation Event for Aviation-Lovers in KIX Observation Hall. 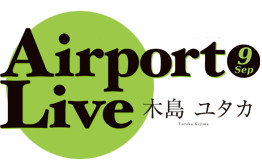 A talk show by Fujio Horii, a former Haneda Airport Air Traffic Controller, will be held. 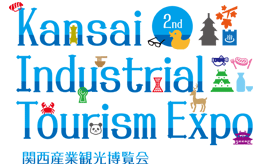 Government Tourism Bureaus from each country in Europe, airlines flying to/from Kansai Airport and travel agencies will gather together to organize travel seminars and consultation sessions. 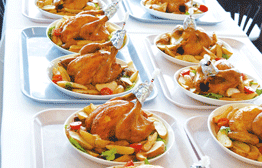 We will deliver the latest information and the profound charm of Europe. Industrial and cultural heritages, such as factories and machinery, are on exhibit for visitors to understand the soul of craftsmanship, appealing local specialties and local industry that have not yet become known overseas. 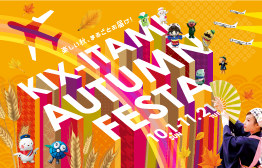 Eat, Dance and Enjoy the Autumn Festivities! Autumn leaves, one of the highlights of Japan's rich four seasons, will decorate the access way, the beauty of which will welcome and see off visitors. 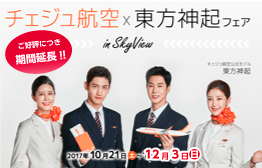 More details about the events can be found on the Kansai Observation Hall “Sky View” website or official SNS. In collaboration with Nipponbashi shopping street in Osaka, the birthplace of pop culture, an exhibition corner that has collected Japan's animated cartoons has been installed. 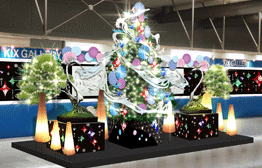 Let's decorate the KIX Christmas tree with Origami cranes + paper fans! 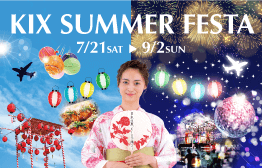 You can experience folding papers, "Origami," Japanese traditional culture, and making paper craft models to create only one KIX original tree. 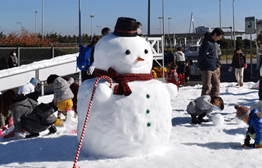 A snow park will emerge in the Observation Hall! This annual popular event will be carried out this year, too. Let's turn on the lights of the sky deck illumination. 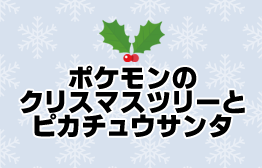 In front of the KIX Gallery, a Pokémon Christmas Tree will appear! When you scratch the card, an amount appears on the card which you can use for your next shopping/dining experience! 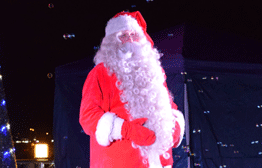 How about enjoying some wonderful moments while listening to Christmas songs, playing games and eating delicious cuisine cooked by a famous chef while watching the airplanes. 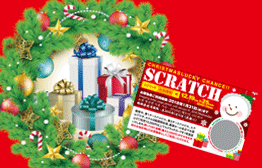 A Christmas dinner show will be held with Ms. Marina Kojima of "Miraiskirt" group.